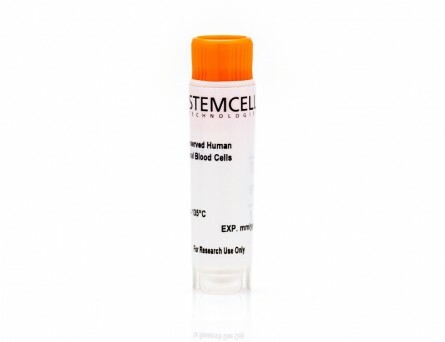 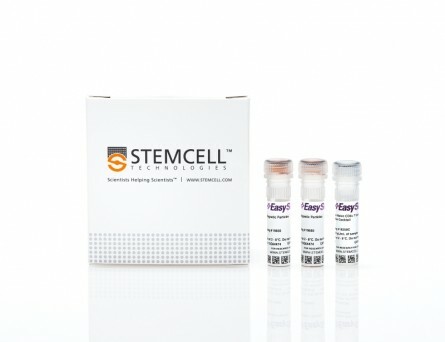 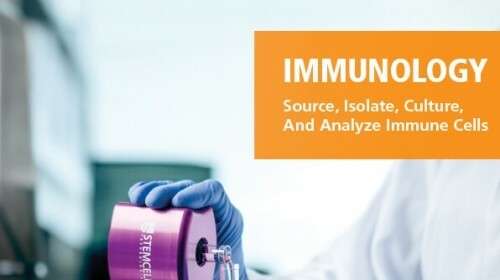 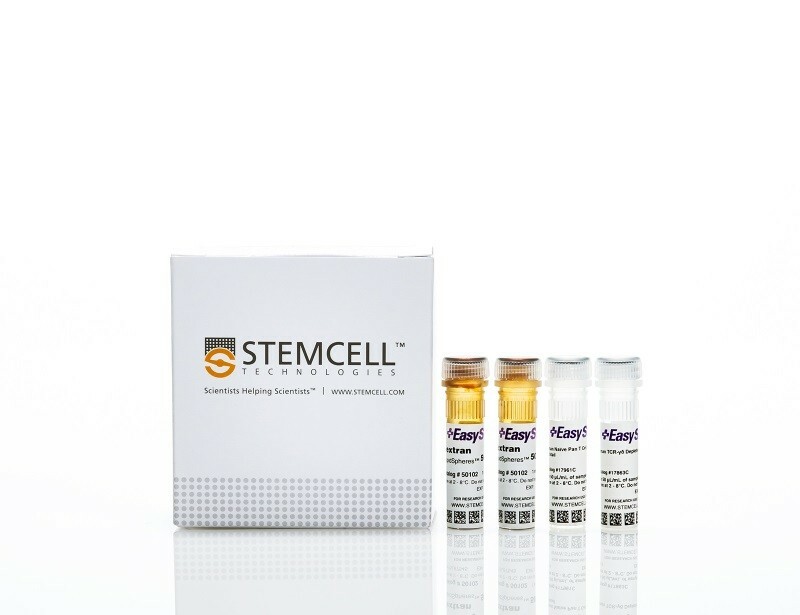 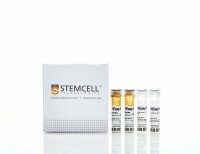 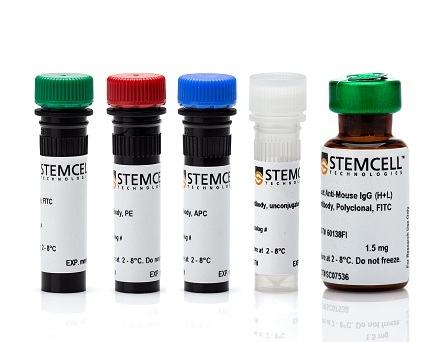 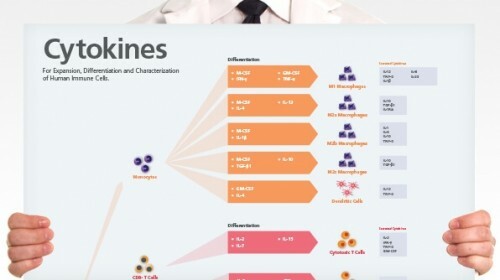 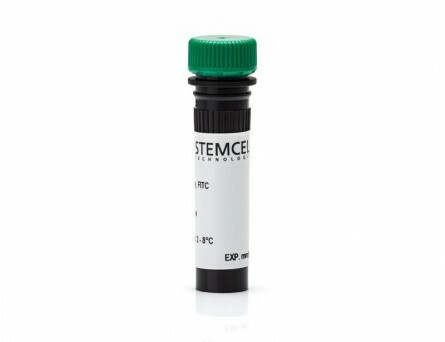 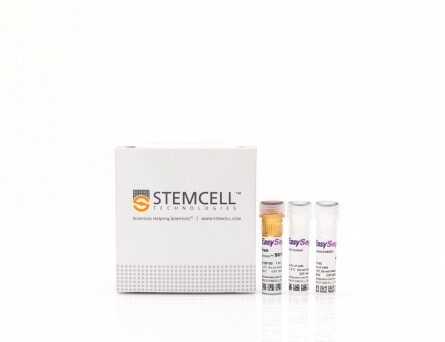 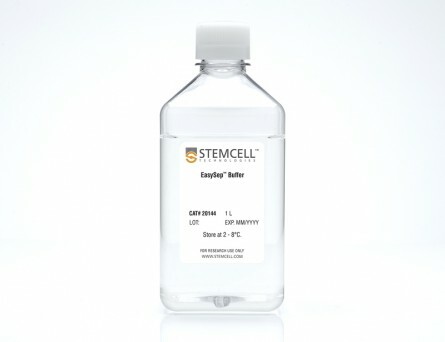 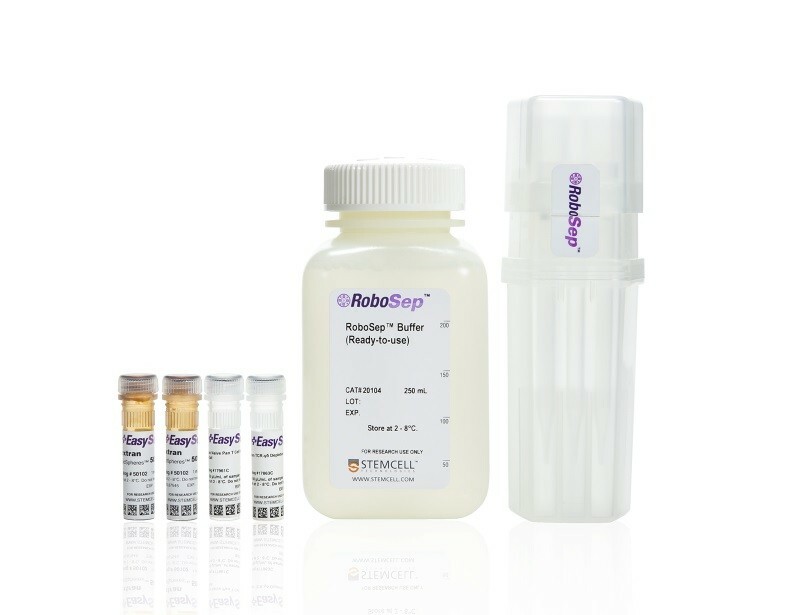 The EasySep™ Human Naïve Pan T Cell Isolation Kit is designed to isolate naïve pan T cells from fresh or previously frozen human peripheral blood mononuclear cells or washed leukapheresis samples by immunomagnetic negative selection. 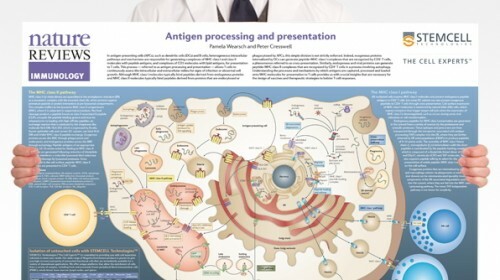 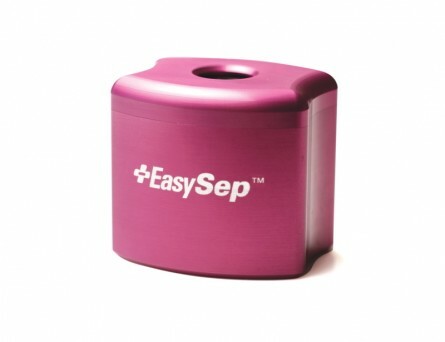 The EasySep™ procedure involves labeling unwanted cells with antibody complexes and magnetic particles. 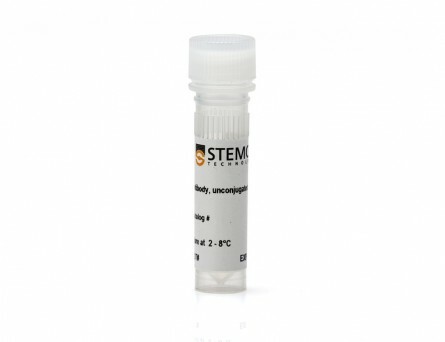 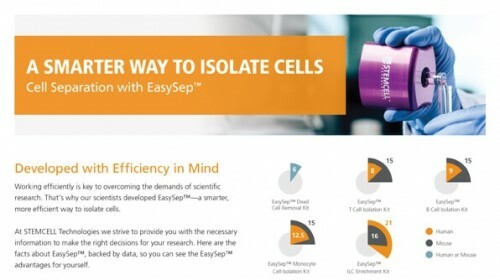 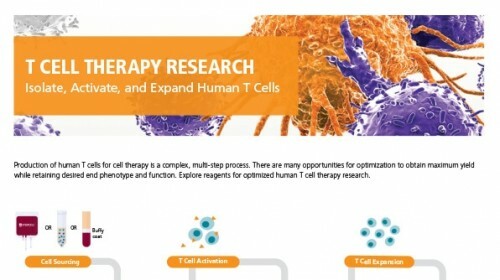 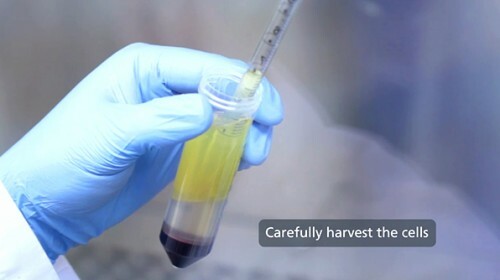 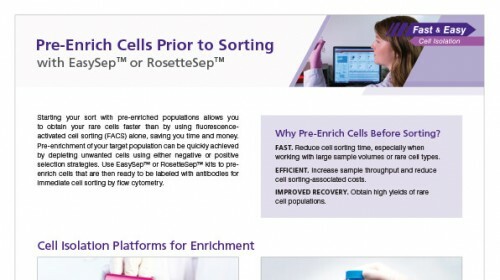 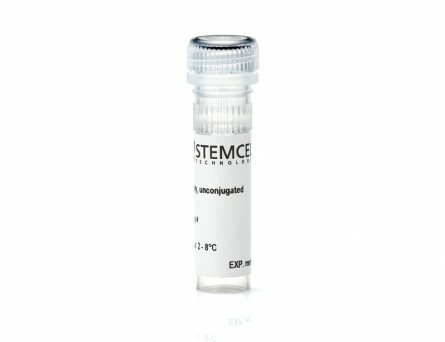 The magnetically labeled cells are separated from the untouched desired cells by using an EasySep™ magnet and simply pouring or pipetting the desired cells into a new tube. 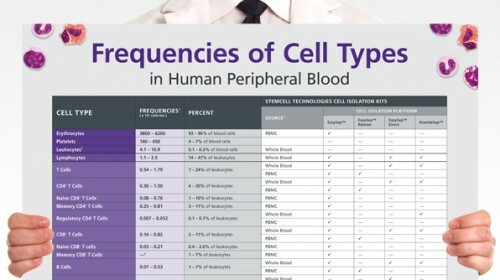 Starting with fresh PBMCs, the naïve pan T cell content (CD3+CD45RA+CD45RO-CD197+) of the isolated fraction is typically 96.1 ± 2.3% (mean ± SD using the purple EasySep™ Magnet). 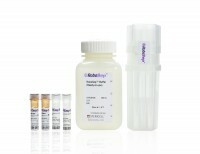 In the above example, the purities of the start and final isolated fractions are 4.5% and 97%, respectively.